Ford Edge Running Costs, MPG, Economy, Reliability, Safety | What Car? With a starting price that makes it way more expensive than versions of such appealing cars as the Mazda CX-5 and Peugeot 5008, it’s hard to justify how much the Edge costs to buy. Especially when the mid-level ST-Line is pricier than certain versions of Audi Q5 and Volvo XC60. Nearly all its rivals will offer much better resale values, too, so you’ll feel pretty miffed when it comes to trading your Edge in. This higher rate of depreciation impacts on its PCP finance deals as well, and you’ll find that even premium offerings are no more expensive per month – perhaps even cheaper. There’s no petrol or hybrid option to appeal to those who shy away from diesel, and the Edge’s 2.0-litre diesel engines are saddled with fairly high CO2 emissions. Even the sluggish 148bhp version puts out 153g/km, compared with 128g/km for the least efficient Peugeot 5008. If company car tax is a big consideration, you’d do better to try rivals with smaller petrol engines, or the Toyota RAV4 Hybrid, which has exceptionally low CO2 emissions. The Edge’s fuel consumption, meanwhile, is okay, but not great. What is great is the amount of kit you get. Even the cheapest Titanium model includes 19in alloy wheels, leather seats, a heated windscreen, heated and cooled front seats, heated rear seats, dual-zone climate control, keyless entry, privacy glass, adaptive cruise control and an electric tailgate. That helps offset, in part at least, the high list price. In fact, if Titanium were available with the more powerful 235bhp engine, it would be our trim of choice. Sadly, it isn’t, so you have to spend even more money on the ST-line trim. That means you end up with those big alloys and that sports suspension which, as we’ve already mentioned, conspire to ruin the ride. Other than styling tweaks the only other significant upgrade is a heated steering wheel. We’d definitely avoid the Vignale model. Although the interior comes wrapped in fine-grain leather, you’d be mad to spend that sort of money on an Edge, when the Audi Q5 is so much better in almost every way and makes more financial sense. Safety equipment is very comprehensive, with automatic emergency braking, lane-keeping assistance and traffic sign recognition all fitted as standard. It gets five stars from Euro NCAP, but the XC60 returned much better category scores, especially its adult protection rating. 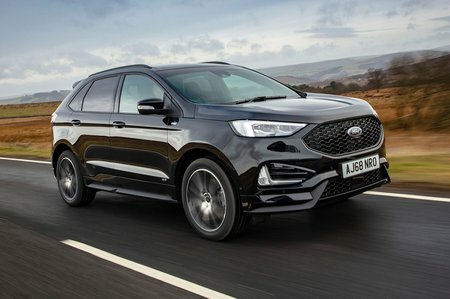 Ford made an average showing in the latest What Car? Reliability Survey; it finished 18th out of the 31 manufacturers involved. That’s similar to BMW, Honda and Volkswagen, and better than Peugeot or Land Rover. It was behind Skoda, Mazda, Hyundai and Kia, though. Kia and Hyundai also beat Ford’s three-year, 60,000-mile manufacturer’s warranty, which is pretty basic by today’s standards. 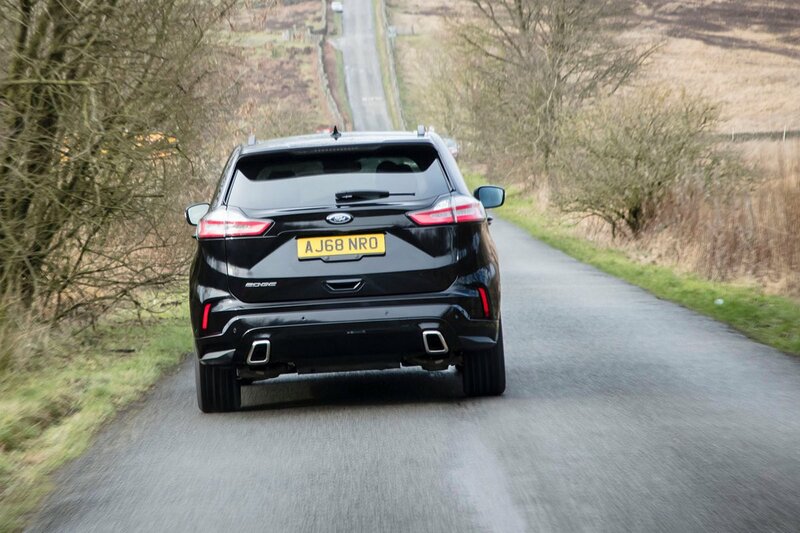 The Ford Edge is reasonably spacious and extremely well equipped. Those are the highlights, but elsewhere it’s pretty mediocre. 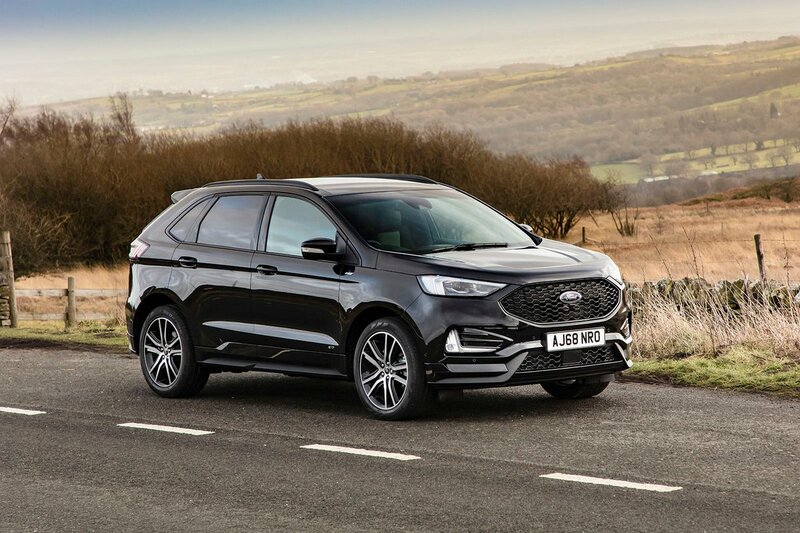 Although Ford wants you to think of it as a premium product and has priced it accordingly, its handling, ride and refinement are below par compared with the Peugeot 5008, let alone the Audi A5 and Volvo XC60. Its resale values are also not in the same league as many of its more rounded rivals. Finally, iffy interior quality and a lack of seven-seat versatility seal it firmly in the mid-pack of large SUVs.